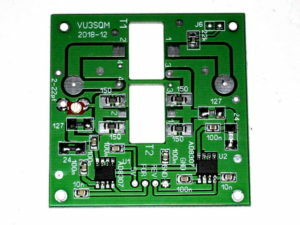 VU3SQM directional wattmeter build – #1 laid out the first steps in design review and build of a directional wattmeter. The parts have arrived and construction commenced. 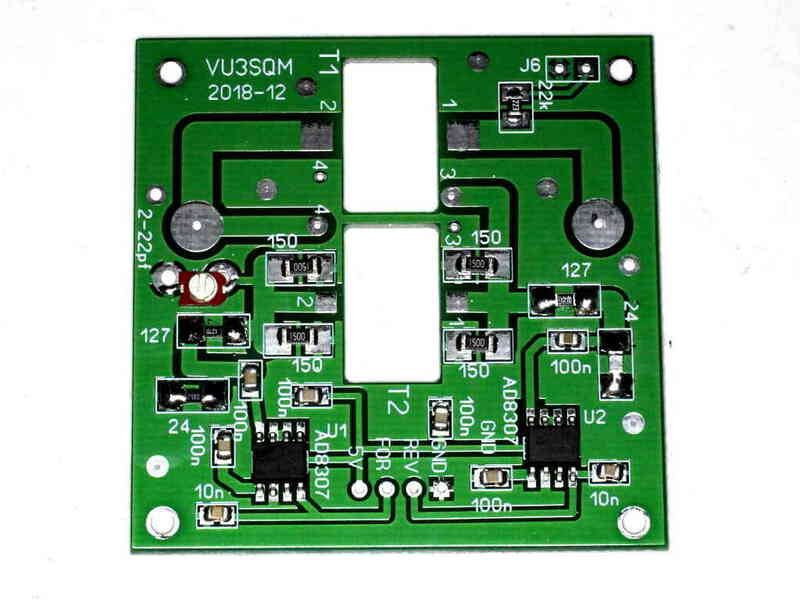 Above, the PCB populated with the SM parts and soldered. It was soldered in an IR reflow oven. Unfortunately I could not buy the 127R and 24R resistors in the package size to suit the board, so I have had to use 0805 packages and hand solder bridges to them. The trimmer cap does not exactly suit the through hole board mounts.